The Insurance Regulatory and Development Authority (IRDA) has asked insurance companies to tie-up with all repositories so that policyholders can keep their policies in electronic format. In September 2013, then Finance Minister, Mr. P. Chidambaram had launched IRDA's Insurance Repository System (IRS), the first of its kind in the world. The sector regulator has provided insurance repository licence to five companies i.e. - Central Insurance Repository Limited, NSDL Database Management Limited, Karvy Insurance Repository Limited, CAMS Repository Services Limited and SHCIL Projects Limited. Like shares and bonds, which are being kept in a demat account with a depository, now with IRS, the policyholders can be able to keep their insurance policies in an electronic insurance account with an insurance repository. With e-insurance account, policyholders will not require to keep traditional paper documents. As of now, it is not mandatory for insurers to tie-up with all repositories; as a result paperless insurance has not yet taken off in the country. 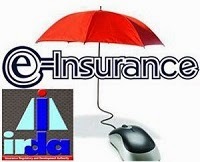 “IRDA set up a committee in March 2014 for the review of e-insurance guidelines. The Committee has gone ahead and submitted its recommendations. Based on the modified guidelines, the goal is given to insurers for compulsory conversion of policies into digital form. They have also been asked to tie-up with all repositories", said Mr. S.V. Ramanan, CEO, CAMS Insurance Repository and Services.